We created this lamp using Arduino. 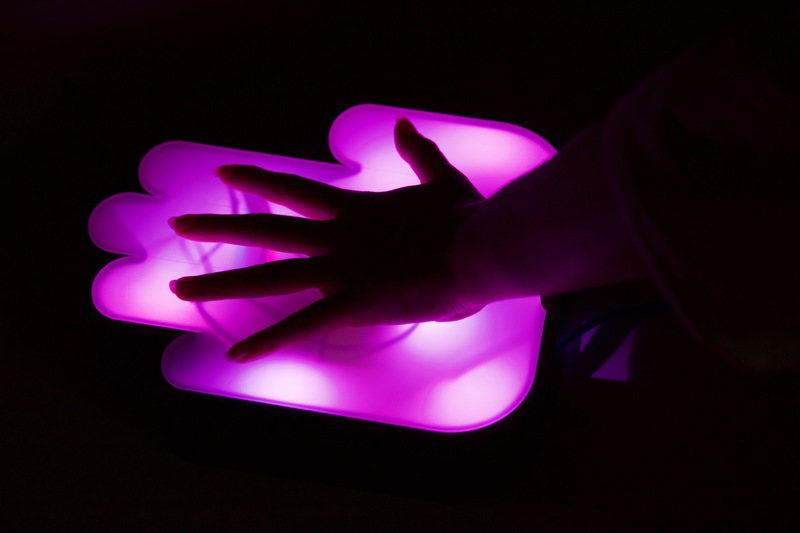 Like a mood ring, this lamp reads the temperature of the users fingertips and outputs a color which corresponds to their mood. 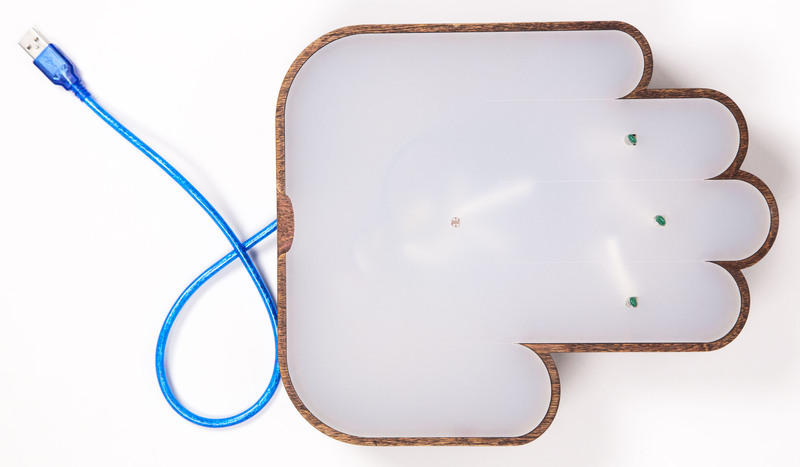 We developed a custom code for this, fabricated the hand shaped casing from wood and acrylic, and embedded four sensors (three ther-mistors to sense and average the temperature of three fingers and one photocell to sense the initiating presence of a hand) and a string of LEDs in the lamp.